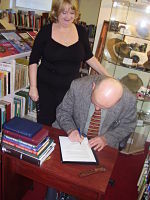 Chris Yates also signs the document to become a Trustee later becoming Patron. The following is an article which appeared in the February 17, 2009 edition of Angler's Mail, and was written by reporter, Gary Newman. A NEW charitable trust aims to preserve our great sport's rich and fascinating history for the future generations. Most of the younger generations of anglers are more interested in DVDs and the internet than they are in old books, photographs and other memorabilia from the past. They are also less likely to want to become river-keepers, ghillies, netsmen or boatmen, so much of the knowledge and skills accumulated in these trades over the course of hundreds of years could be lost. But this is why Angling Heritage (UK) has been set up, and it was the death of angling legend, Fred J Taylor MBE that brought about its inception. 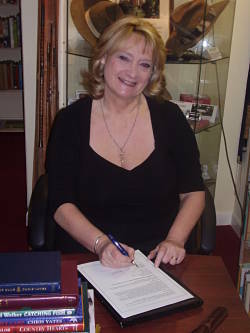 Angling Heritage (UK) was founded by Sandra Armishaw, who runs River Reads' bookshop in Devon, and was set-up after she'd recorded a conversation between Fred J and another angling great, Fred Buller - author of The Domesday Book of Mammoth Pike. Stop Press 2! A third recording of Bob Buteux and Len Arbery has been completed and is the third instalment of the Recollections series. This too has sold out. Stop Press 3! A fourth recording was completed featuring John Goddard and Brian Clarke in 2012. If you are interested in a copy, please contact us. 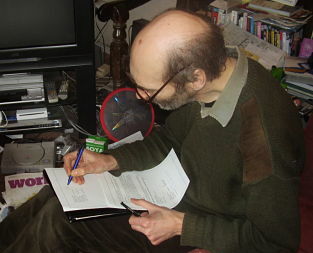 Sadly, John Goddard passed away on 26th December 2012 making this recording even more poignant. To make sure that you get your copy, contact us now to express your interest. Stop Press 4! A fifth recording was made in November 2012 between Bob Church and Dave Steuart, interviewed by Pete Reading. Another fascinating piece of history, so if you would like a copy, please contact us as soon as possible to express your interest.